Every Departure Date is Guaranteed. This trek will take you up the historic expedition route from Old Tingri to Rongbuk Monastery crossing the Langma La pass (16,900 ft). 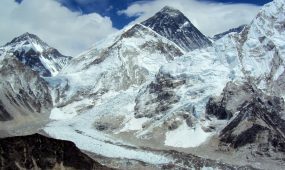 Later, we hike up to the North Everest Base Camp and explore the Rongbuk glacier set directly below the massive north-face of Mount Everest. Then, from Rongbuk we drive back to Kathmandu through the amazing Himalayas Highway to Kathmandu in Nepal. 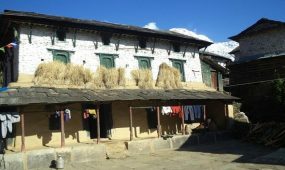 Tingri to Everest Base Camp trekking experience gives a potent blend of solitude,wildlife locating and physical test, onagers and gazelle thrive around the trail,and you may even get lucky and see a Tibetan cocoa bear drifting in the pastures.You will achieve 70 km in 4 entire days by walking; the course of trekking is in a high-height district with elevations going somewhere around 4400m and 5300m, while in transit to Everest Base Camp you will have enough time to investigate the valleys and ice sheets underneath the monstrous north-face of Mt. 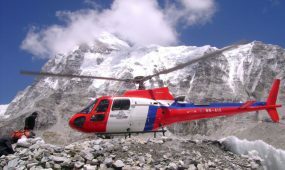 Everest and view the most great world’s most noteworthy mountain landscape. To make them trek photograph references by one of our customers in May, 2016, read more about Tibet Everest Base Camp Trekking photographs and Tibet Everest Trekking Review 2017 and welcome to share some Tibet Everest trekking recordings by our visitor. We take the opportunity to go a short way out of town to visit a small temple, Nyalam Phelgye Ling, associated with eleventh- and twelfth-century poet-lama and saint Milarepa, credited with bringing Buddhism to Tibet. Today’s drive takes us from the lush, green lower hills into the dry, arid landscape of the Tibetan Plateau. 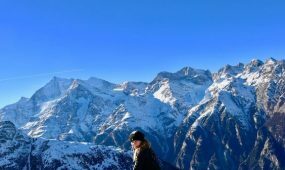 We cross several high passes including the Lalung La at 5050m from where (weather permitting) there is a breathtaking panorama of the Himalayan range including Mt Everest – an incredible backdrop to the vast and arid Tibetan Plateau. We spend the night in Tingri. We start our first day of trekking on the Tingri plain and will really feel the vastness of this huge land as we walk through it for the first time. We pass through some villages as we make our way south, heading in the direction of Cho Oyu. We will pass through the village of Chholing, and we can visit the small Gompa there. Not far from Chholing we come to Lengthen, our campsite for today and the last village in this part of the Tingri plains. It is a somewhat bleak region surrounded by barren flats, yet the people do manage to harvest barley showing their resilience and hard work. Most villagers here are also herders as the harvest would not be enough to sustain a livelihood. After breakfast today we get into some more serious trekking. We head up in the mountains, towards the top of Lamna La (5150m). This is a hard days trekking with a lot of uphill walking, but of course the higher you go the better the views are! We have sensational views as we ascend of the Himalayan Range. We camp near the Langma La this night. Today we begin with a steep decent from Lamna La, towards Zomig, where we will camp tonight. On this side of the pass the vegetation here is more lush than on the Dingri side and is capable of supporting hundreds of yaks and a few herders’ families. As we get approach we can see the whitewashed walls of Zomig village. 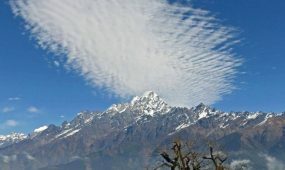 This is the highest permanent settlement in the Everest region and is set high above the valley in a moon like landscape of barren hills, with views of Mount Everest and Gyachung Kang. Because crops cannot survive at this elevation, all of the families residing here rely upon animal husbandry. Today is our last day of trekking and we make our way towards the Dza Rongbuk Monastery and the Rongbuk Everest Base Camp. Dza Rongbuk Gompa and its accompanying hermitage retreats were introduced to the world in the 1920s through the accounts of the first British mountaineering teams. It is situated 8 kilometres below the Base Camp and was reconstructed after the excesses of the Cultural Revolution in the 1960’s. 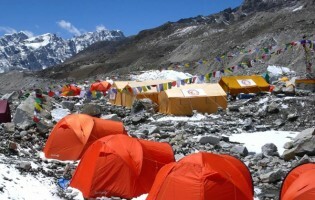 We continue up to Everest Base Camp at 5020m where we camp for the night. Today we have the opportunity to explore Everest Base Camp, which is actually quite dry and barren, but the views of Mt Everest more than compensate for this. It is a truly awe-inspiring place with the sheer north face of the highest mountain in the world towering above us. Nowhere is the view of Mt Everest as spectacular as it is from right here. Today we leave the Rongbuk Valley, taking our last long look at the awe inspiring view it has offered us for the last few days. We have a short drive towards Shegar, crossing the Pang La, a 5150m pass set back away from the main Himalayan Range. 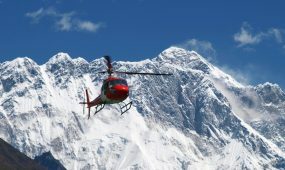 The view from the top is stupendous (weather permitting) with uninterrupted views stretching from Makalu to Shishapangma. We come back onto the Friendship Highway just before Shegar and continue on to Lhatse, where we stay the night. Before reaching Lhatse we cross the highest pass on our journey, the Gyatso La (5105m), no doubt thankful we are not trekking now, before descending once more to the barren splendour of the plains. After breakfast we continue along the Friendship Highway to Shigatse, marvelling again at just how vast this place is and simply immersing ourselves in the barren yet spectacular landscape of Tibet. Tonight we stay in Tibet’s second largest city, Shigatse, home to the Tashilhunpo Monastery and formerly home of the Panchen Lama. Today we have a relatively short drive, so this morning we have time to visit the Tashilhunpo Monastery, one of the largest functioning monasteries in Tibet. Reaching Gyantse where we will stay the night, we can explore the Pelkor Chode Monastery and the Gyantse Kumbum. The Kumbum is a large gold-domed stupa and its many chapels house an impressive array of Tibetan Buddhist murals. Today we have a spectacular drive taking us over yet another high pass, the Karo La at 4690m. From here we have the awesome sight of a huge glacier tumbling down towards the road! Leaving the pass and passing through the small town of Nagarse, we reach the stunning Yamdrok Tso. Also known as the Scorpion Lake, this is one of the four holiest lakes in Tibet, where the landscape is mapped out with holy lakes and mountains. We wind around the banks of this stunning turquoise lake for about 20km, before we cross our last pass, the Kamba La (4700m) and continue on into Lhasa. We have arrived in the Forbidden City! Today we can immerse ourselves in this amazing city – the heart and soul of Tibet! Our sightseeing will be accompanied by a guide and interpreter and we will visit the Sera Monastery, one of the best-preserved monasteries in Tibet. Within its whitewashed walls and golden roofs, several hundred monks live and study. After lunch we’ll visit the Norbulingka, the summer palace of the Dalai Lama, followed by the Jokhang Temple. This temple is possibly the most sacred shrine in Tibet and there is always a procession of devout Tibetans through the complex. Surrounding the Jokhang is the Barkor – a maze of narrow cobbled streets, which is the central market of Lhasa. This is truly fascinating stuff and you will be mesmerised by the energy and feel of this area of Lhasa. No visit to Tibet could be complete without visiting the Potala Palace. A spectacular building, it literally dominates the skyline of Lhasa. It contains the private quarters of the Dalai Lama as well as numerous grand state rooms and many important chapels. There has been a palace on this site since the 5th or 6th century, but the present palace was constructed in the 17th century. After lunch we will visit the Drepung Monastery which was founded in the 14th century. This monastery was once the largest in the world, with a population of around 10,000 monks! These days that figure is down to several hundred, but there is still much here of interest as it was left relatively unscathed during the Cultural Revolution.